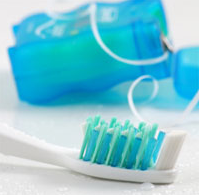 Choosing top-notch oral care products for your child is an easy way to obtain a high level of oral health. Thumb sucking is not an unusual habit for babies, toddlers, and young children, but parents and dentists often worry about the repercussions. In addition to scheduling regular trips to the dentist and making sure teeth are being brushed and flossed, there’s another crucial way parents can take care of their children’s oral health, and that is by monitoring their children’s nutrition. My Son is Afraid of Going to the Dentist. What Should I Do? If your son or daughter is afraid of going to the dentist, it can be difficult to know how to help him or her. As a parent, you know how important it is to make sure your child gets good dental care, but you also don’t want him to feel scared and miserable. Fortunately, there are things you can do as his parent to help him overcome this fear and develop a good attitude about dental appointments. Even though your baby’s teeth aren’t there to stay, it’s still crucial to take care of them, since they reserve space for his or her permanent teeth. Some parents may wonder if their baby’s teeth are really in danger of decay; after all, the child isn’t eating solid foods. Are Your Kids Getting the Right Amount of Fluoride? Fluoride is a mineral found naturally in water as well as many foods. In community water supplies, fluoride is usually added to the water because it helps prevent tooth decay. The snacks you feed your kids in between meals aren’t just important for their nutrition; they also impact their teeth. Sticky, sugary treats can cause tooth decay, especially when kids aren’t likely to brush and floss afterward. One way for parents to protect their kids’ oral health is to consciously choose snacks that promote healthy teeth. One of the most important skills you’ll teach your children is how to brush and floss their teeth. What Happens During My Child’s First Dental Visit? Your child’s first dental visit is an important milestone, and as a parent, you’ll of course want to know what to expect ahead of time. The following is a general outline of what will happen during this important first dental visit. First and foremost, we want to thank you for visiting our website. Here we provide information on a variety of children’s dental procedures offered, as well as discuss the array of options you face when choosing a kid’s dentist.